Long hair. 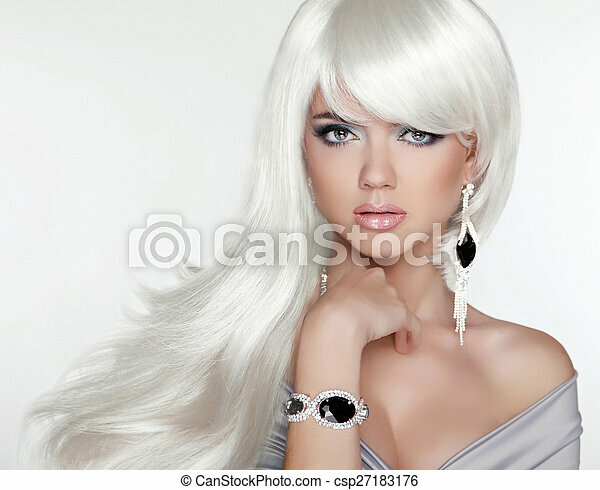 Fashion Blond girl with white wavy hairstyle. Expensive Jewelry.Beauty portrait. Attractive woman model posing on studio background. Beauty fashion glam girl portrait. 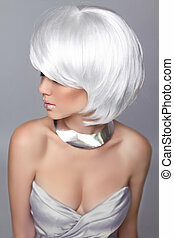 Blond woman with white short hair. Makeup. Hairstyle. 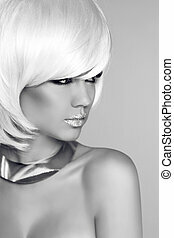 Beauty Blond Fashion Girl Model Portrait. Short Blond hair. Eye makeup. Haircut. Hairstyle. 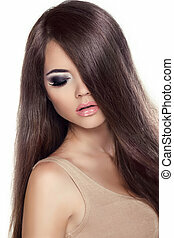 Beauty fashion brunette girl portrait. Makeup. Hair. Beauty Girl Portrait. 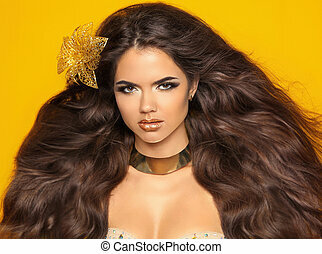 Fashion Model Woman with Long Healthy Brown Hair. Isolated on white background. Professional Makeup. Beauty fashion girl model portrait. 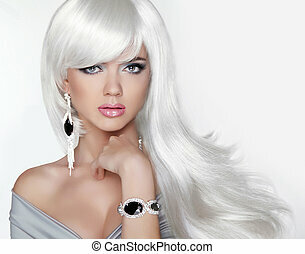 Blond woman with makeup, long wavy hair and luxury jewelry. Attractive female by outdoor swimming pool. Beauty fashion woman portrait. Long hair. Eyeleshas Makeup. Black and white photo. 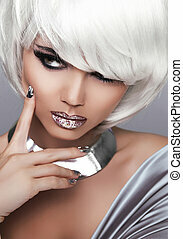 Fashion portrait of attractive girl model with red lips and jewelry. Long wavy hair. Black and white photo.